D-Pulse, the live electronic trio from St. Petersburg, have released their music on such established labels as Tirk, Gomma, OM, Theomatic, and most recently, Island Records, with their remix for British rock-musician Paul Weller. 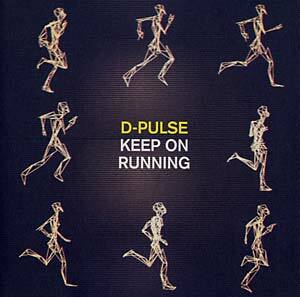 "Keep On Running" is an outstanding tune in every way -- its full of analog synth-lines, drum grooves, live instruments, vocoders and vocal bits. Three remixes from Datasette, Andy Hart & Max Graef, and Amberflame complete this package and should have something for everybody.